Thanks to crude oil prices and increasing demand, it's getting very expensive to operate a motor vehicle in the U.S. In Connecticut and New York, gas prices have hit over $3 a gallon. According to AAA, the national average—which fluctuates on a daily basis—is hovering around $2.90. As a result, motorists might spend up to $200 more fueling up in 2018. Whether that will translate into fewer people taking road trips this summer remains to be seen. But you don't necessarily have to be at the total mercy of Big Oil every time you pull up to the pump. 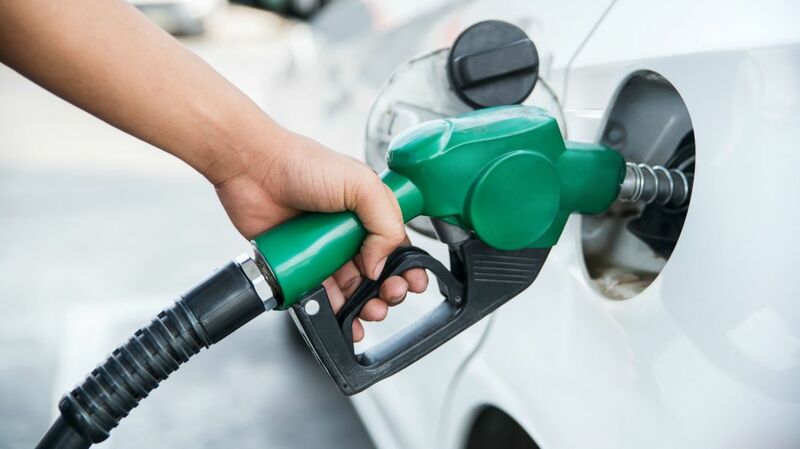 While credit card programs and other discount offers can shave pennies off a refuel, it's what you do once you leave the station that has the greatest impact on fuel economy. Automotive expert Ron Montoya of Edmunds, an online automotive information hub, spoke with NBC News recently and suggested that drivers can anticipate significant savings based on one simple rule: drive less aggressively. Depending on the model, cars tend to maximize fuel economy around 50 miles per hour (mph). When a car joins the racing flow of traffic on a highway, accelerating from 55 mph to 75 mph, fuel consumption speeds up right along with it, shaving up to 15 miles per gallon (mpg) off the vehicle's fuel efficiency. Even going 65 mph will eat up four to eight mpg more. Overall, the act of threading through traffic by speeding, braking, and rapidly accelerating is responsible for a 15 to 30 percent reduction in gas mileage. It's like paying 20 cents more per gallon for every 5 mph driven over a cruising speed of 50 mph. In addition to maintaining a moderate speed, road trippers may also want to consider leaving cargo off the roof—it increases drag—and sticking with regular unleaded. Most cars don't need premium, even if it's "recommended" on car doors. Only use more expensive fuel if the manufacturer labels it "required." As for those credit card deals? They vary by issuer, but paying cash usually results in a 10 to 15 cent savings per gallon because gas stations don't have to cover transaction fees. If you don't normally carry a lot of cash, consider paying with a debit card—but make sure the station will treat it as cash, not credit.